CloudCheckr can import cost data from the Microsoft Partner Center/Cloud Solution Provider (CSP) portal. To import this data, you will need to create a partner user and native application in the Microsoft Partner Center/Cloud Solution Provider (CSP) portal. This procedure shows you how to log into the Microsoft Partner Center/Cloud Solution Provider (CSP) portal and create a user. Log into the Microsoft Partner Center. The Cloud Solution Provider page opens. 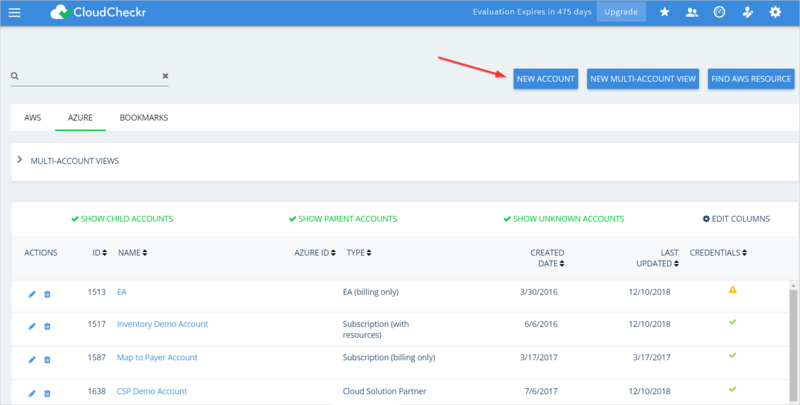 To sign into your Cloud Solution Partner account, go to the menu bar and click Dashboard. You can also click Sign in located on the right side of the screen. Select your account, type your password, and click Sign in. The Partner Center page opens. From the right side of the screen, select Settings > User Management. The User management screen displays. The Add user screen displays. Type the name and email of the new user that you will use with your CloudCheckr account. 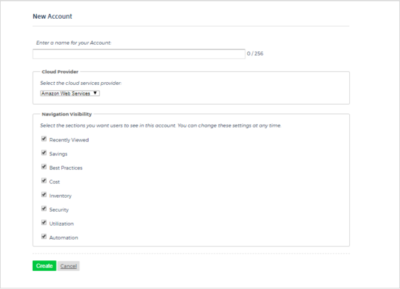 Make sure that you select the Manages your organization's account checkbox and select Billing admin. Make sure that you select the Assists your customers as checkbox and select Admin agent. After you create a user, log into the Microsoft Partner Center with the temporary password of the new user to create a permanent password. You cannot use the temporary password to credential the CSP account in CloudCheckr. On the Partner Center page, go to Account Settings and click App Management. Scroll until you see the Native App section, and click Add new native app. In the first text field, type a name for the account. In the Cloud Provider section, select Microsoft Azure from the drop-down list. From the Azure Account Type drop-down menu, select Commercial or Government.